These are popular for intermittent general-purpose “workshop air” applications where air is used for hand tools, cleaning dust, small paint jobs, etc. These compressors function according to a basic principle whereby a piston moves air inside a cylinder to compress it. Piston compressors are available lubricated and oil-free, and usually have two cylinders, in low pressure and high pressure. Very small piston compressors use only one cylinder. The piston compressor is available in models from 1 hp to about 30 hp. They are popular for intermittent general-purpose “workshop air” applications where the air is used for hand tools, cleaning dust, small paint jobs, etc. 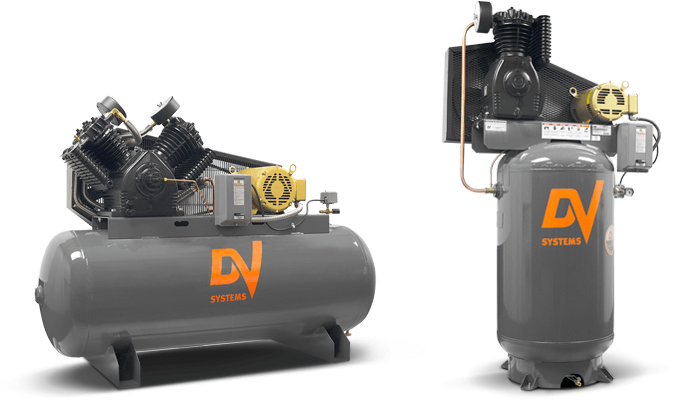 The air-cooled, pressure-lubricated, reciprocating heavy-duty industrial series is engineered to provide a robust, durable and dependable air compressor built to withstand the most demanding industrial environments. 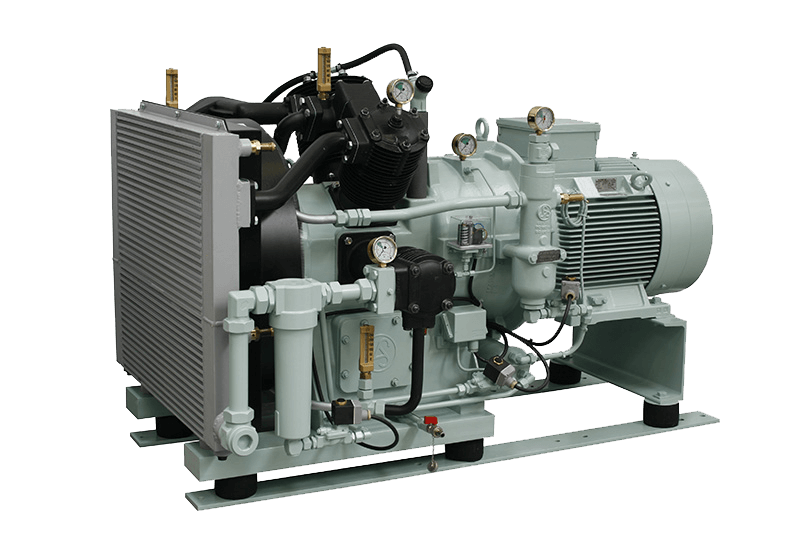 Available in both simplex and duplex configurations, the HDI series 5 hp to 30 hp is equipped with two-stage, two-cylinder (247) or four-cylinder (447) cast-iron compressor pumps powered by high-efficiency North American-made open drip-proof (ODP) motors, providing reliable, high duty-cycle operation. 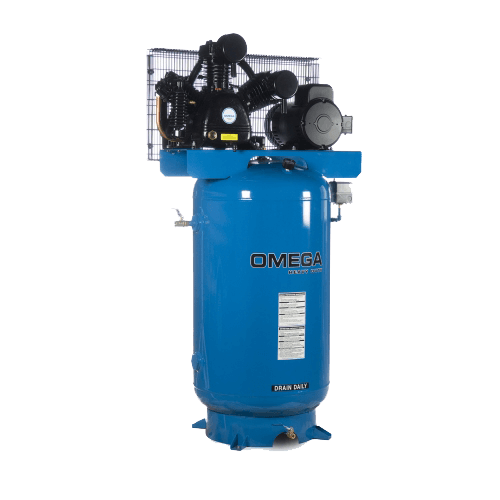 Our reciprocating heavy-duty air-cooled air compressors from Omega Compressors are available in models from 5 hp to 30 hp in simplex, duplex and base mount configurations. The Sauer 3-stage compressor demonstrates exceptional endurance even under the most difficult operating conditions. The three-stage design lowers cylinder compression temperatures and reduces the pressure ratio per cylinder. This feature promotes lower maintenance costs and improves unit longevity and reliability. Our conventional vertical reciprocating compressor model is a single packed compressor. This packing configuration is typically used in non-corrosive, non-toxic applications where oil-free service is not required and leakage containment is not critical. Conventional compressors are commonly used in propane, butane, agricultural ammonia and natural gas applications. Didn’t find the product you were looking for? You have questions on our products? 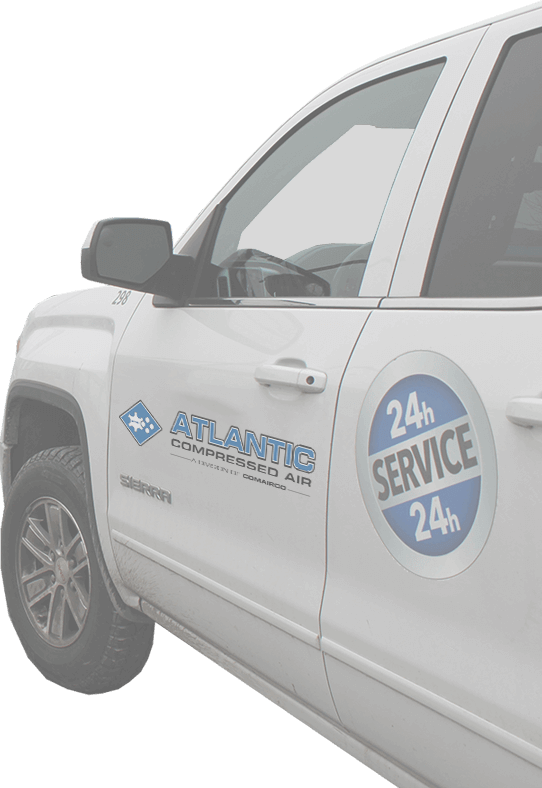 Portable compressors ranging from 60 CFM to 1600 CFM and electric compressors ranging from 5 hp to 350 hp are available at any time, whether for permanent lease, short-term rental or simply to respond to an emergency.